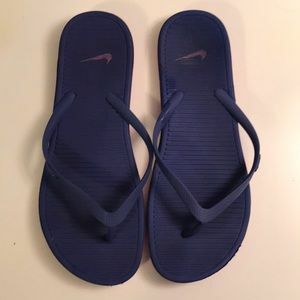 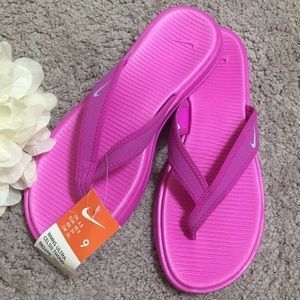 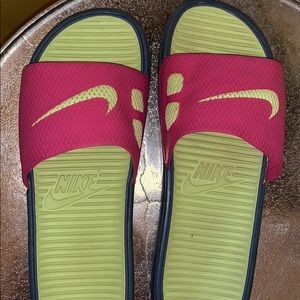 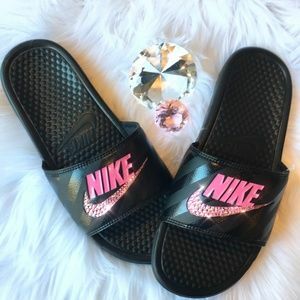 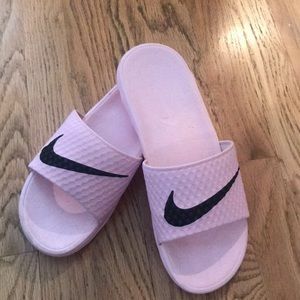 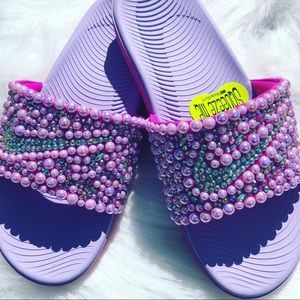 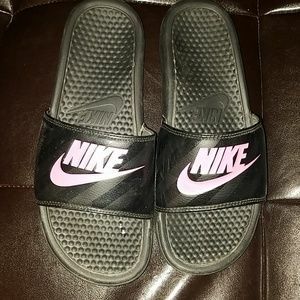 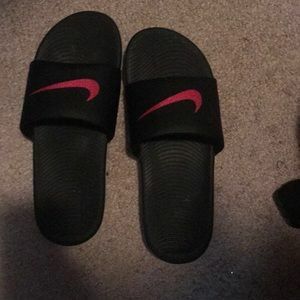 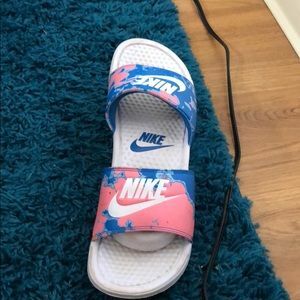 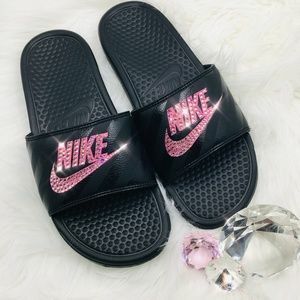 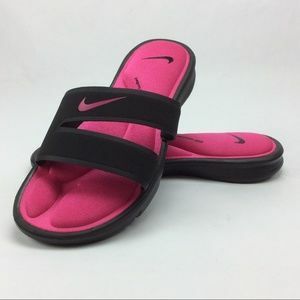 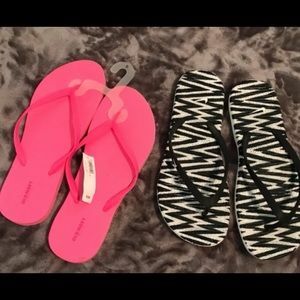 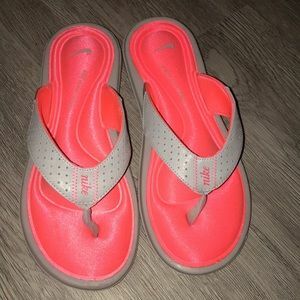 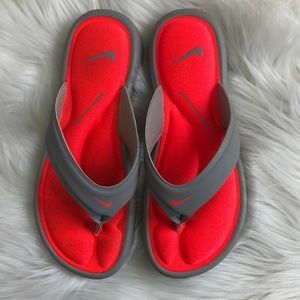 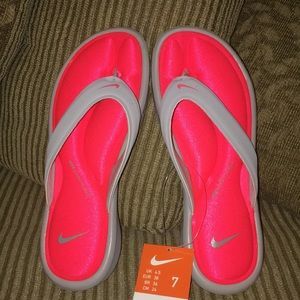 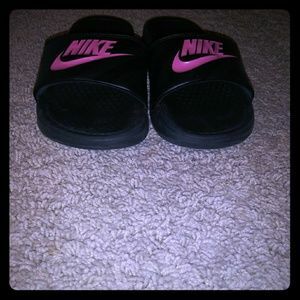 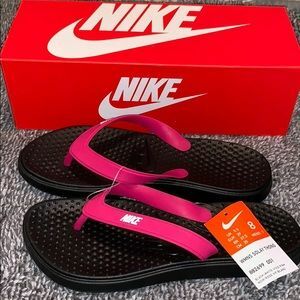 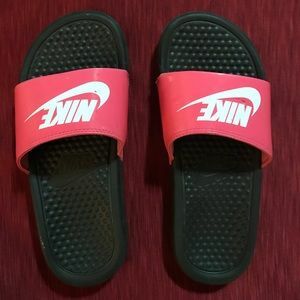 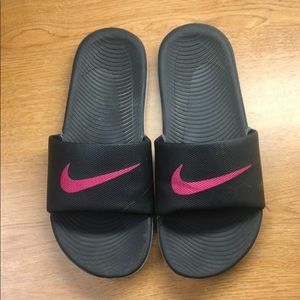 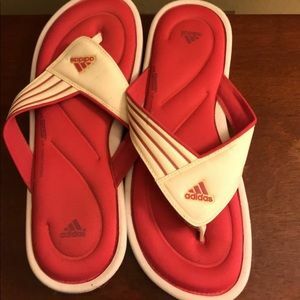 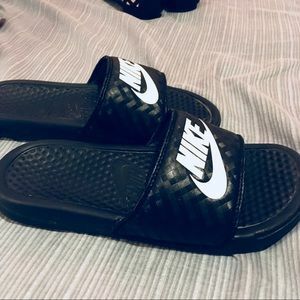 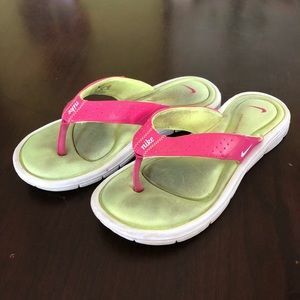 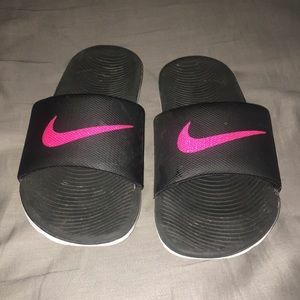 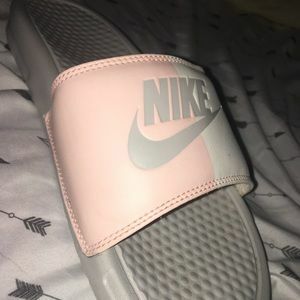 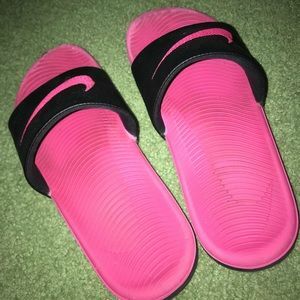 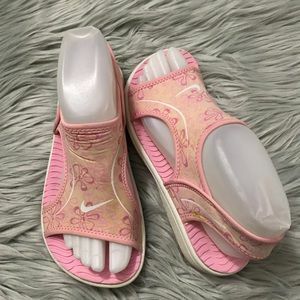 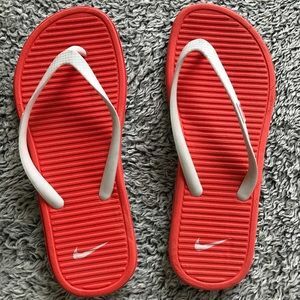 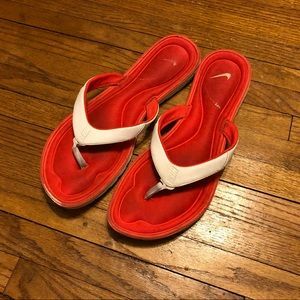 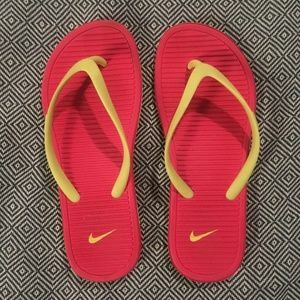 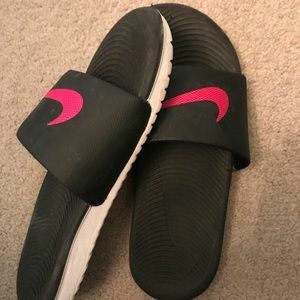 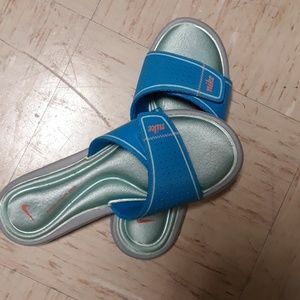 Womens size 10 Nike slides. 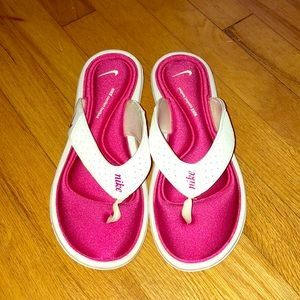 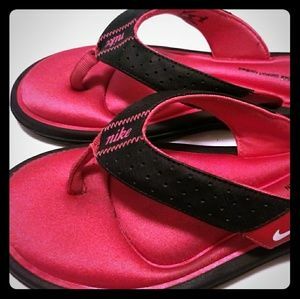 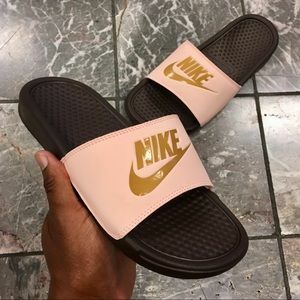 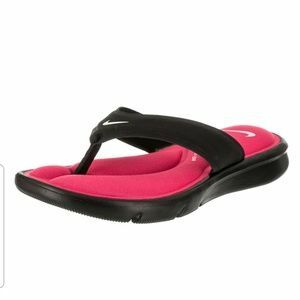 Nike - pink & white solarsoft flip flops! 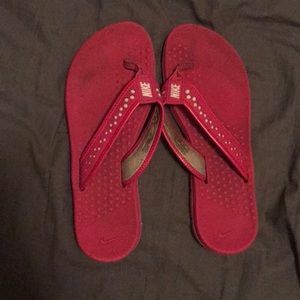 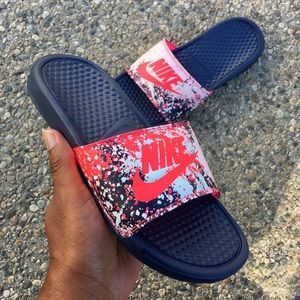 NIKE BENASSI JDI SLIDES ❤️ Size 6 GREAT CONDITION!